Home » Trending17 » Force Friday II is Almost Here! Force Friday II is Almost Here! Mind on Movies wants to share with you “Find the Force” from Star Wars. 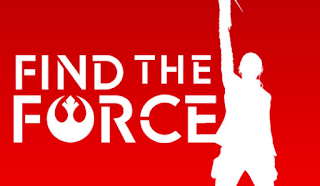 In celebration of the new product line for Star Wars: The Last Jedi, Disney and Lucasfilm have announced Find the Force, a global augmented reality (AR) event launching on Force Friday II (September 1) to honor the worldwide launch of new products inspired by the upcoming film at various retail locations across the country! We invite you to come out and see the new merchandise and experience the pop-up AR treasure hunt at a local Disney store near you! Below you will find the official press release for additional details on this 3-day event which will take part beginning this Friday, September 1 through Sunday, September 2. 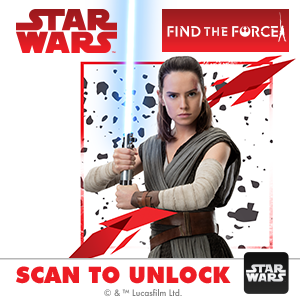 From September 1-3, retailers around the world will invite fans to Find the Force by taking part in an AR treasure hunt. Here’s how it works: first, download the Star Wars App, which is your one-stop-shop for all things Star Wars (those who already have the app will need to download the latest version). Then, visit any one of 20,000 participating retail locations to find a graphic that contains the Find the Force logo. When you scan the graphic using the Star Wars App, you’ll reveal a character, who through augmented reality, will appear in the room with you. 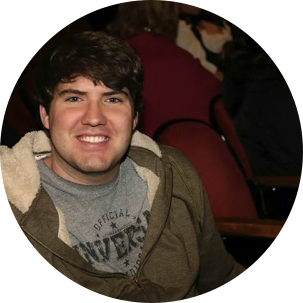 You can then take photos, record videos, and share the experience on social media. Come back each day to reveal new characters (15 in total across the program’s three-day run). Click here for more information: www.starwars.com/findtheforce.